A scene from Frozen, as well as 1970s Peru. 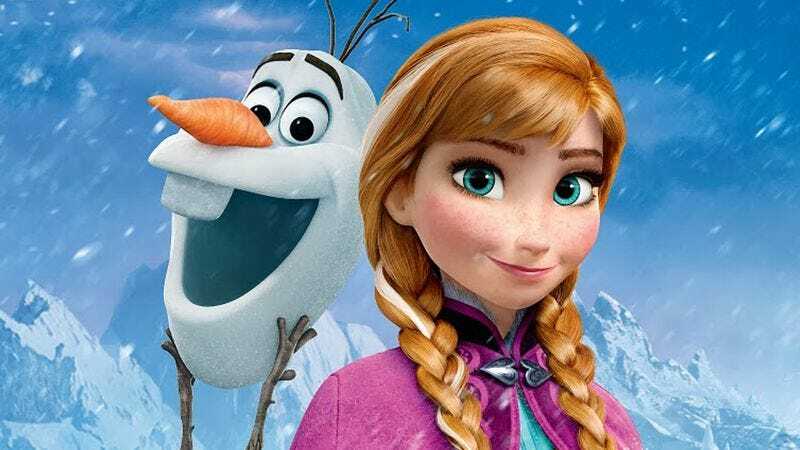 In the most damning accusation of life theft to be lobbed at Frozen from someone besides the parent of a 4-year-old, TMZ reports that a woman named Isabella Tanikumi is suing Disney for $250 million, claiming that its hit movie is stolen from her own story. While the “official” logline on Frozen is that it’s inspired by Hans Christian Andersen’s Snow Queen and takes place in an imaginary realm trapped in eternal winter, Tanikumi’s argument is that it’s a direct rip-off of her own Yearnings Of The Heart, an autobiographical tale of her own emigration from Peru to America—the fantastical snow kingdom of the world. This is a compelling, introspective account of the life of Isabella TaniKumi, who takes her readers on a journey through various phases of her remarkable life- from her family’s survival during the devastating earthquake of 1970 in Huaraz, Peru, to the trials of overcoming heartbreaks of her youth. Conquering personal insecurities led to exploring the reaches of her intellect while facing the tragic, and untimely death of her beloved sister, Laura. Despite language barriers and the consequent obstacles of fitting in, Tanikumi wittily narrates her struggles with her assimilation into American life and culture. Forging many enduring friendships most notably with Julie, who rescued her from the depths of grief. Tanikumi also interweaves a dialogue with her long lost love Eduardo. This novel tacitily and expressly addresses Eduardo as a salient recipient of her reflections. Ultimately, Tanikumi is able to share her gratitude and joy as well as her insatiable thirst for life. Look at the facts: Both stories have sisters in them. Both concern characters who struggle to fit in—one because of language barriers, another because of cryokinetic powers that cause her to produce ice at will. Both have talking snowmen pals (Olaf or “Julie,” whatever you want to call them). Both feature salient recipients of reflections that are tacitly and expressly addressed. Both center on the Peruvian earthquake of 1970 in Huaraz, the events of which Frozen turned into the hit song, “Let It Go.” And needless to say, Peru has a bustling cocaine trade, and “snow” is sometimes used as slang for “cocaine.” The evidence is damning. Nevertheless, some have suggested that—because Yearnings Of The Heart was self-published through vanity imprint FriesenPress—this could all very well be an attempt for Tanikumi to drum up some free publicity with a knowingly frivolous lawsuit. While we wait for the courts to decide to whether Frozen is really about a young Peruvian girl struggling to assimilate in the United States, that publicity strategy is already paying off with new Amazon reviews and hits on her Facebook page. Indeed, Tanikumi seems poised to be the salient recipient of many such reflections.